Many SMEs have issues working out when to grow their processes to match the growth in their business. Quite often companies of 50 or more staff are still working with many of the same the processes that were put in place when they were 10 staff and probably carrying a staffing overhead to cope with the resulting inefficiencies. Procurement is often a prime example of this. As a business grows, it’s not unusual for the guys who started the business to hang on to responsibility for buying decisions. This isn’t altogether too surprising. It’s their business and they are likely to get particularly twitchy when other people start spending their money. However there is a downside with this. These are of course very busy individuals, who are unlikely to have the time or inclination to fully understand how the market is affecting their suppliers and are unlikely to shop around for the best deal. Sorting out procurement is also rarely seen as a priority, especially when companies are small, given they don’t do a lot of it and most of it is likely to be of low value. However once turnover grows, the savings that can be derived from getting procurement right, both in terms of sourcing not only the best value product, but also the right product can have a transformational effect on many businesses. 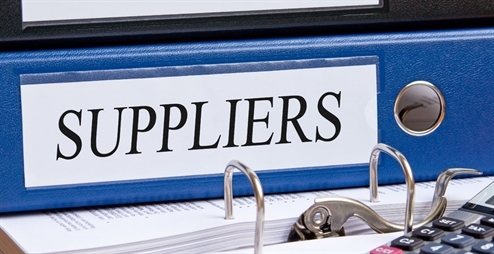 The principles of good procurement aren’t complicated, but are too often ignored. Getting it right will ensure that you and your potential suppliers fully understand what you are trying to buy, what the suppliers in this market can offer and that you get the best deal in terms of the suitability of product or service that you are buying and both the purchase price and its cost of ownership. Getting some help to sharpen up your procurement skills could be the best investment your business ever makes.